I've just realized a difference between electronic games and non-electronic games: if you design a really good non-electronic game, there's a good chance it will still be played 20 years from now, might even still sell 20 years from now. In the video game world, games become obsolete because of advances in the computational platforms. A game might be played 20 years after it was released, but it almost certainly won't sell 20 years after. That element of "other people" is partly or entirely lost in electronic games, even MMOs. I've been reading about the conventional reason given for publishers' lack of interest in PC video games. They believe that piracy is so rampant that they can't sell many games, compared with console sales where piracy is much harder (and I'd add, many users are much less technically adept). However, some people think the real problem is that many PC games require such high-end hardware that the actual pool of potential buyers is small, and there has to be some truth in that. And the people with the high-end systems are usually the ones most capable of pirating the software. Boardgames have faced the problem of piracy--I've heard of hand-made and photocopies of stuff I've published, and Diplomacy was pirated in Brazil wholesale at one time (they added a supply center in Tunisia, otherwise the same game). In the modern era of scanning and digital cameras it becomes relatively easy to make copies of boards and rules. So how have boardgames changed to make this less of a threat? First, the games provide lots of "bits" (pieces) of thick cardboard, but often 3 dimensional wood or plastic, sometimes even plastic figures. In Euro-style games the boards are often mounted. There are even gimmicks such as spinners and dice towers that cannot practically be pirated. Finally, flashy color art is less easy to pirate than old-style black and white. In wargames there are fewer protections, but the pool of wargame buyers is so small that the typical hex historical game sells about two thousand copies, and piracy is uncommon. "Block games" have become popular, and they have the 3 dimensional block pieces and the stickers for the blocks, all being more difficult to pirate than ordinary cardboard counters. I'm going to bring in another comparison at some length, books and textbooks. It is only a matter of time to scan a book to an electronic copy. Scott Adams (author of Dilbert comics) complained that one of his books was available in pirated electronic version the day after it came out, and so he never pursued sales of an electronic version. As students more habitually carry laptops or "e-readers", the electronic version of a book can be used in class as well as outside of class. However, as a college teacher I see students either not reading the textbook, or not even bothering to buy it. To folks of my generation a book was a treasure trove of information about a topic. Now we have the Internet, and hundreds of channels on cable and satellite. (I was lucky, I had three TV channels instead of two, and learned a lot from "20th Century" and "Mr. Wizard".) These provide information for "free". Want history? There's the History Channel and its competitors. Want science? Discovery Channel and many others. A lot of the information is pretty shaky these days owing to sensationalism and a lackadaisical attitude that turns fiction into truth, but there IS information. So why bother with a book, younger people ask. Textbook publishers generally have depended on the structure of the business, that is, the teacher chooses a textbook, and the students are required to purchase the textbook, and then the teacher tests the students on the content of the textbook. If I were a textbook company I'd be worried, even though, thanks to essentially monopoly pricing, a company can charge well over $100 for a widely-used (and consequently high print run) book. As I often say, if you put a textbook in a bookstore hardly anyone would buy it; which is why I try to use class books that DO sell well in bookstores, they are not only cheaper, they are usually more interesting. Despite this, and despite the bizarre but increasingly common notion that people must take classes to learn things instead of reading books--usually not textbooks--I think the textbook companies are in trouble. But they may not quite know it. Some people in the industry are experimenting with ways to make piracy a virtue rather than a problem. One company (freeloadpress) is putting advertisements in textbooks and distributing electronic versions for free. These are full-page full-color ads, usually in unobtrusive locations. The books can be purchased at reasonable prices in paper, I presume via publishing-on-demand technology. For example, the 140 page book I downloaded was less than $10 in paper. These folks are already in business and have some impressive title in their catalog. Another company plans to sell the homework assignments, and hopes instructors will enforce the idea that if the student hasn't bought the homework assignments, the student cannot get credit for homework. I don't think they have a prayer, teachers aren't going to care about this. Another company expects to sell ancillary products that support the books, such as study guides. Again, I don't see how this can work, and surely the ancillary products, if written, will be pirated. This brings us back to video games. You may know that some games already have in-game advertising. If this becomes the primary support of a game, then the more copies made of a game, the better for the publisher. Also, some online games have gone to a modified free model. It's free to play the game, but there are ancillary, in-game benefits (such as cooler costumes for avatars) that cost small sums, and those small sums add up to large ones. There's no analog of "sell the homework", or I'd expect PC games to have experiments there. Consoles in the long run may be susceptible to piracy, too, especially the computer wannabes (XBox 360 and PS 3). Once you have a DVD drive, you have the possibility that someone will figure out how to copy console games either on a modified console or on a PC. Computer technology and the Internet have changed many business models. Some businesses have contracted mightily (travel agents, e.g. ), some have appeared from nowhere. 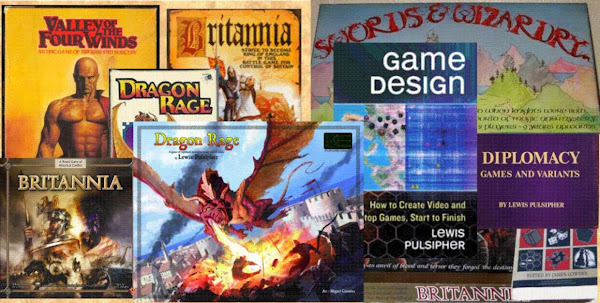 The boardgame business has changed in another way, because the competition from online game retailers makes it tough for many local game shops to continue, yet publishers don't sell enough online, by and large, to wish to see retail distribution from brick-and-mortar stores disappear (as it is slowly doing). Chris Anderson argues that "the long tail" (the name of his book) means marginal/niche products will be more successful, yet others believe the "short-term mega-hit" phenomenon means those same products are less viable, not more. I understand that retailing of games changed with the collectible card games, because stores got used to products (CCGs and expansions) that sold very well for 90 days and then sold very little. Boardgames, especially wargames, sell via a different model, but stores aren't interested in keeping inventory of less-than-brand-new games in stock because of the CCG phenomenon. I think this is one reason why we see so many new boardgames, but most don't sell a lot or make much money (though a few mega-hits do). Something about the new edition of Britannia that really pleased me was the continued good level of sales (until it was sold out): one way or another it seemed to avoid the 90-day-wonder phenomenon.